is your reliable, fair and competent partner for all kind of ice rinks (permanent and mobile ones). 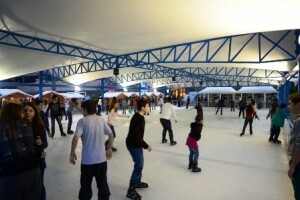 With grant experience and expertise in both the competitive and the entertainment sector of ice skating, the company is involved in the construction and operation of mobile and permanent ice rinks as well as in organizing large sites and events for entertainment purposes, with ice being the basic element. Our target is to combine high quality technologies (for example in the professional ice rink sector) with creative and beautiful ice rink landscapes. The largest permanent ice rink in our country is ready to welcome all our friends once again this upcoming winter season. 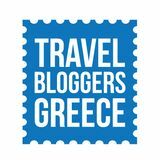 Its operation started on the 26th of September 2016 and it will remain open until the end of April of 2017. 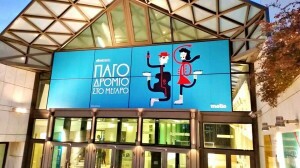 The Megaron Athens Concert Hall is a creative arena for cultural and educational activities, an arts centre organized along contemporary lines to promote the role of culture in the community. It offers an excellent example of successful collaboration between the state and the private sector. 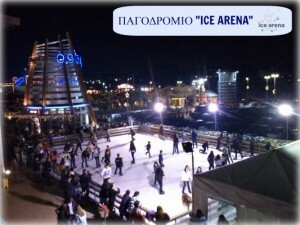 Ice Arena, for the first time in the history of Megaron, operates at its premises one of the most elegant and unique ice rink in Athens throughout the winter season. 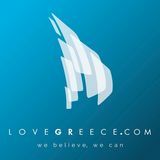 The Escape Center multiplex and the Ster Cinemas, located in the heart of Ilion, have promoted a different way of life since 2003 and have kept company on a daily basis to thousands of visitors, by proposing alternative ideas for daily “getaways”. Such an idea was the creation of an ice rink and, as proved, it was instantly loved by all of you! That is why, this winter once again for the 7th season, the beautiful ice skating rink from ICE ARENA will be there to bring you joy and many more fun moments! 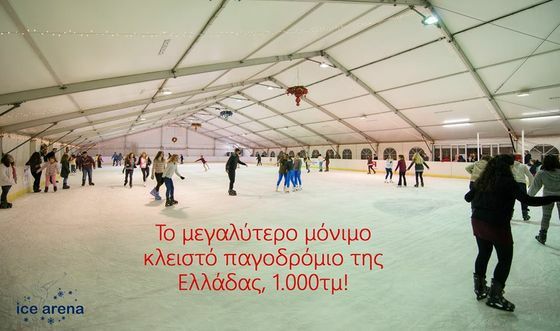 Since 2013 and throughout the winter, Ice Arena operates its one of the most modern ice rinks in Athens at the well-known multiplex «VILLAGE shopping and more…» at Rendi. To the end of February 2018 !! !